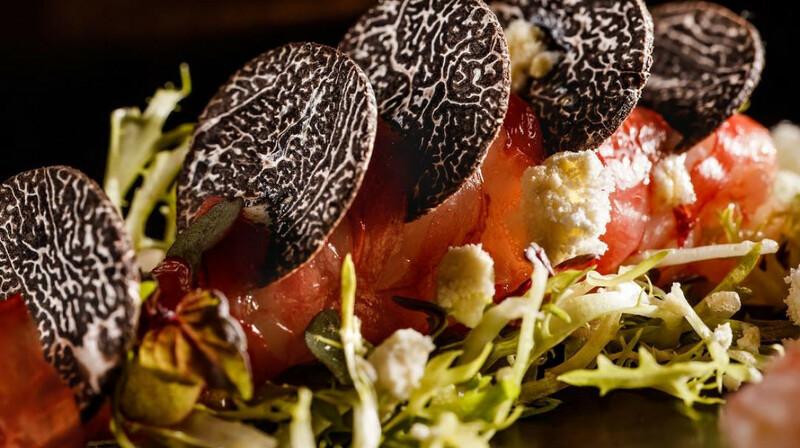 An outstanding dining experience awaits at this multi award-winning restaurant and bar. 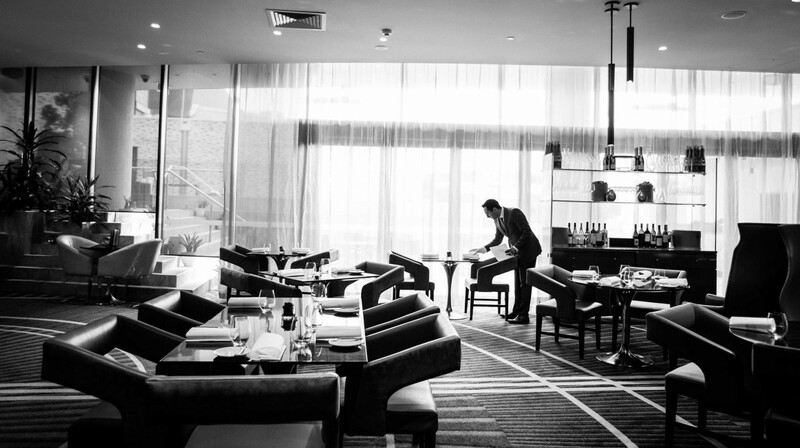 Awarded Australian Good Food Guide 2 Chef Hats earlier this year, Bacchus is known as Brisbane’s premier fine dining destination. Beautifully styled by LA designer Tracy Beckman, with sumptuous seating, bronze tones and soft lighting, Bacchus offers a luxurious setting to enjoy exquisite food and wine. 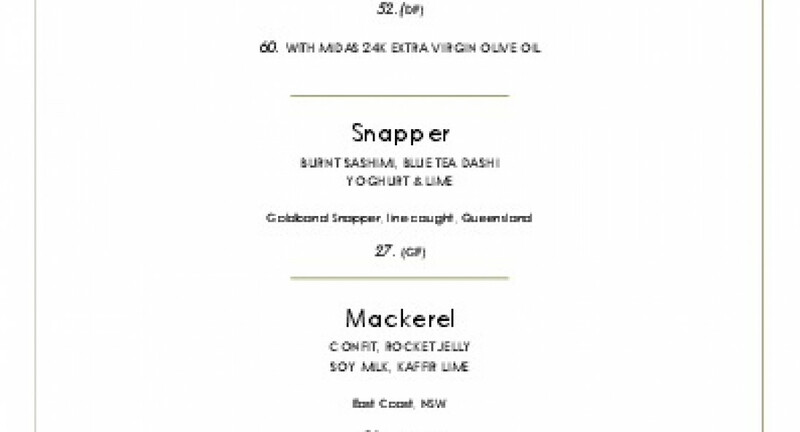 Designed by Head Chef Massimo Speroni, the À La Carte menu offers modern Australian fare of uncompromising quality. Speroni personally ensures each dish is an explosion of flavour and texture, from the full blood Wagyu Tri Tip steak, to the award-winning prime Milly Hill lamb with silverbeet and black garlic. 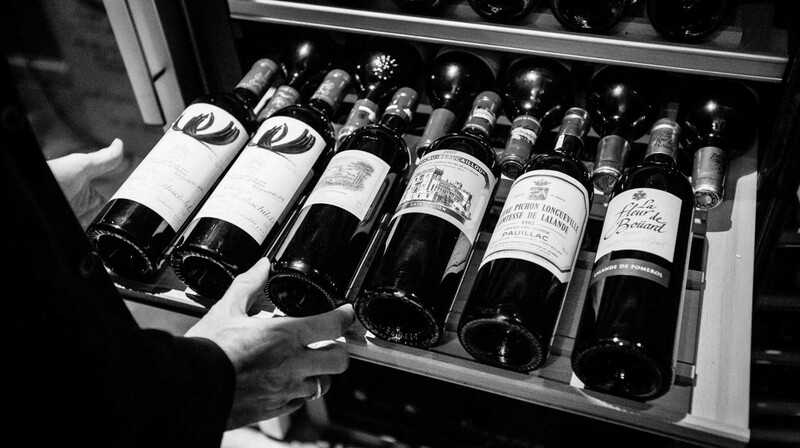 From the bar, choose from an expansive wine list, curated by the award-winning Head Sommelier Andrew Giblin. Not sure what to have? Their talented and passionate team can recommend an excellent pairing with your food. The pre theatre menu at Bacchus was exquisite - very interesting flavours - and lots of little extras that aren't mentioned on the menu but keep you supplied with pleasant surprises all the way through. But the best part of the night was the lovely service. Everyone was so smiley and the manager made us feel very welcome. Also, it was a great location to get to the theatre from, and the timing of the meal meant we had no issue getting there. The ambience of the poolside bar and deck was also lovely to walk in through. Our family of four enjoyed our meals and even appreciated the very plates on which they were served. 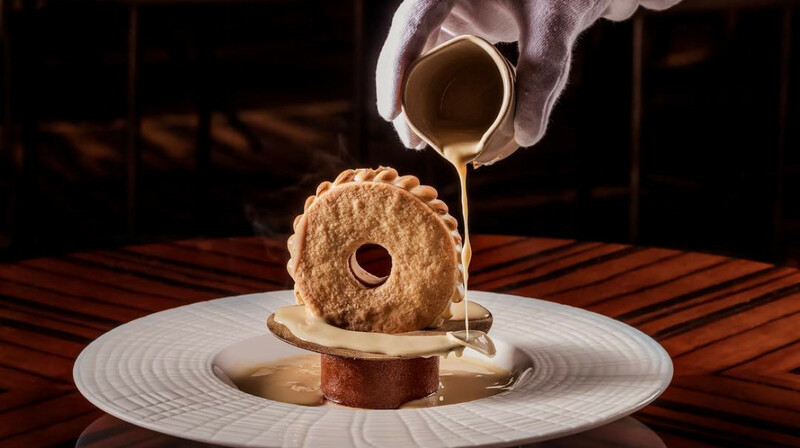 With a diverse and sophisticated A La Carte menu on offer, an experience at Bacchus can only be regarded as the ultimate in dining! Our meal was a gastronomical journey full of flavour, amusement and surprise. The oysters were undoubtedly the best I’ve ever enjoyed and the kangaroo was next-level. Ladies, I highly recommend the classy violet-infused cocktail before dinner (and maybe again after!) The service was absolutely impeccable and the aesthetic was highly sophisticated. Bacchus was the perfect choice for my partner’s birthday celebration! Amazing, is the word to described this restaurant. Took my husband to Bacchus to celebrate his birthday and thank to the professionalism service from the Bacchus team, the delicious meals prepared by the talented chef we had the most memorable night. Please do yourself a favour and dine here. The first table deal at Baachus was fantastic value. They have a lot of young staff who were all very lovely. The only gripe was when I got ‘educated’ by the sommelier. He actually treated me as if I had no knowledge of wine(which I do) and instead of just answering my question gave me a lecture until I used his terminology. I’m sure he was trying to be educational but his manner belied this. Aside from this we had a lovely evening. In my husband's words "pretty damn good". It was a wonderful belated anniversary, pre-theatre dinner for us - we really enjoyed being able to experience such creative food and attentive service, in such luxurious surroundings. We had two excellent dishes - the octopus starter and the crocodile entree, three great dishes - the dry aged sirloin (though this could have used a side), kingfish main, and chocolate dessert, and two dishes we felt were just okay (but very nicely presented) - the duck ravioli entree and the coconut on the beach dessert. 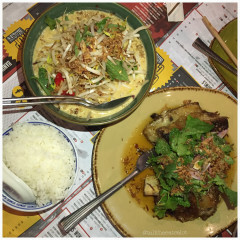 We loved that every dish was described when served, and that the service was attentive without being intrusive. We're very glad we were able to try Bacchus, and would love to return. Excellent food and service. We had an amazing time! Excellent service and great ambiance. Great displayed food and almost too pretty to eat. Overall enjoyed my dining experience there. Exceeded all our expectations! We purchased a gift voucher for the 7 course degustation for my partner's parents for Christmas just based off all the wonderful things we read online. But when given the opportunity to try Bacchus ourselves ~on First Table~ we couldn't pass it up! The food was incredible- taste and presentation. And the only thing better than the food was the impeccable service. Will 100% recommend Bacchus to anyone looking for a fine dining experience. And will definitely be back for cheese and wine on the terrace!! Definitely a fine dining experience! The staff were all professional and friendly. All food was very well presented and tasted great! Some dishes were slightly salty (our table of 4 all agreed). At first we thought the portion size to be too small, but we were so full by the end of the night! We all ordered entree, main and dessert. There was bread to share and three amuse bouche each. We also ordered four side dishes to share. The service was fantastic and very accommodating. Staff were very pleasant and helpful. The food was spot on and something a little bit special. Would dine here again and recommend to friends. Special night with fabulous food and service. Wow! We were so impressed from the minute we walked in the door. The service was impeccable, our waiter Costa was so patient and attentive. The food would be some of the best food we have ever had. Absolutely fabulous evening and would highly recommend. We will definitely be back. Amazing food, impeccable service. We will be coming back for their degustation menu. First date night after having our beautiful little daughter and we couldn't have picked a better place to go. We have dined at some of the best restaurants in every state and have to say Bacchus was one of the top! The food was amazing, a culinary delight and the service was next to none, with the sommelier bringing over wines for us to sample (such a treat). The desserts we sampled was the best I've ever had and I can safely say if you picked blindfolded from the menu you still couldn't go wrong! Don't hesitate and book a special dinning experience at Bacchus ASAP .....I know we will! 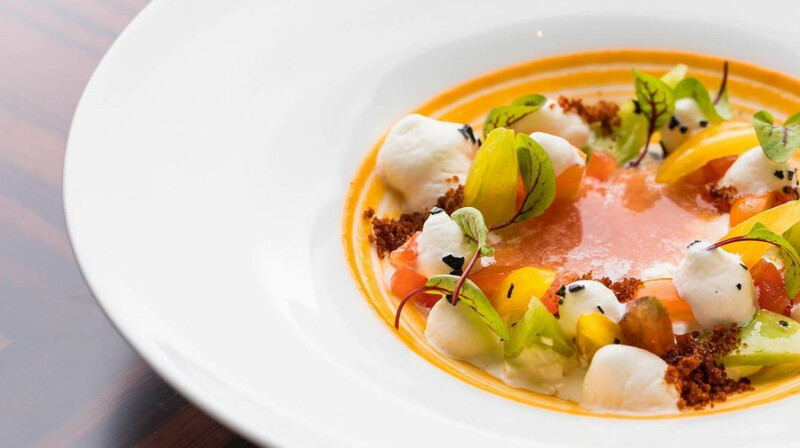 If you’re looking for one of the best fine dining experiences on offer in Brisbane, you can’t go past Bacchus. Sensational! Wow where do I even begin?! This restaurant is truly one of the best I have ever been to. The entire experience was remarkable from beginning to end. My partner and I made a reservation online and checked in with the hostess on arrival. Keep in mind that they are located in the Ryges Hotel and valet parking is $40 so if you want to find cheaper options take into account the time to also walk to the restaurant when making your reservation. We were escorted right away to our table and presented the menus. Everything sounds so incredible so we had a tough time deciding. However after a bit of narrowing down we chose out our food. For starters I got the foie gras while my partner got the duck ravioli. Prior to receiving the dishes we were served an amuse bouche. 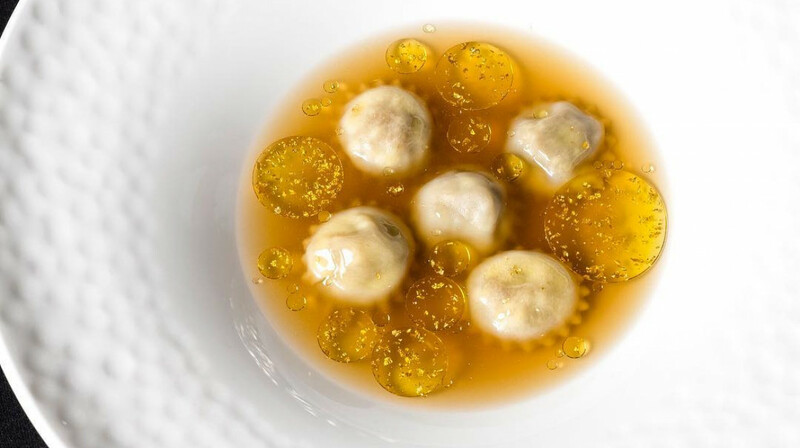 For those unfamiliar with the term; amuse bouche are served both to prepare guests for a meal and to offer a glimpse of a chef's style. We had three different ones to try which all surprised us. Next came out our starters. 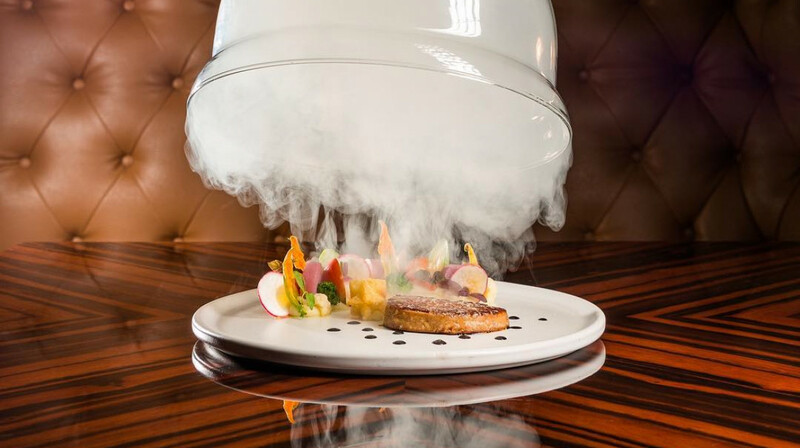 The foie gras was presented beautifully in a steaming glass. The taste was honestly the best foie gras I had ever eaten! My partner even enjoyed it and he is not the biggest fan of foie gras. His duck ravioli was equally as delicious. After the starters we were presented a "palate cleanser" which consisted of a grapefruit sorbet-style dish. For our main dishes we both got the rockfish. It was accompanied by corn, quinoa, sour cream, sweet corn puree and possibility other things I'm forgetting. The dish was far better than we imagined it to be. All the flavors and sides complimented it so well! For dessert we got the Apple. Its so hard to even describe what it was however my best explanation would be an apple mouse with delicious accompaniments. It also came with mint ice cream on the side. The food was exceptional and the service was fantastic as well. The wait staff always checked up on us, refilled our glasses of water, and were helpful with giving suggestions. Highly recommend visiting my new favorite place in Brisbane! My partner and I went to Bacchus last night for dinner. The service was excellent - attentive, quick and the waiter knew the food well. In terms of food, the crisp entree was creative, with unique and novel flavour combinations that were great to experience. Out of the mains that my partner and I had, the lobster was the best. Cooked to perfection with a creamy champagne sauce. Although the sauce overpowered the delicate flavour of the lobster a bit. The 9+ marble Wagyu steak was cooked well. Had the best experience at Bacchus! The food was exceptional and the service was friendly and attentive. Highly recommend! We had an amazing evening at Bacchus! The food was divine. 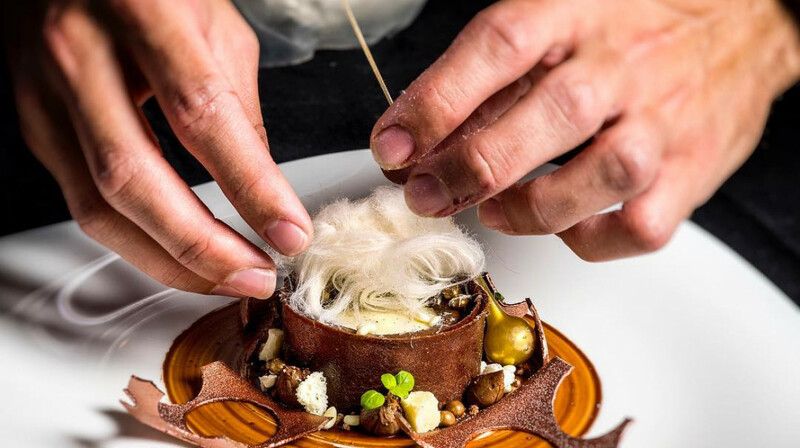 We attend many degustations and chef-hatted restaurants, and this dining experience was definitely at the top end of the list. The wine was delicious too. My husband was very impressed with the range of spirits offered as well. We same many guests with small children which gave a very welcoming feel. Thanks to First Table for pointing us in the direction of Bacchus, it was such a pleasure will definitely be returning. Food and service both extremely good. An excellent option for early dining before the theatre to make the night perfect. Excellent food and service can’t wait to get back to Bacchus! 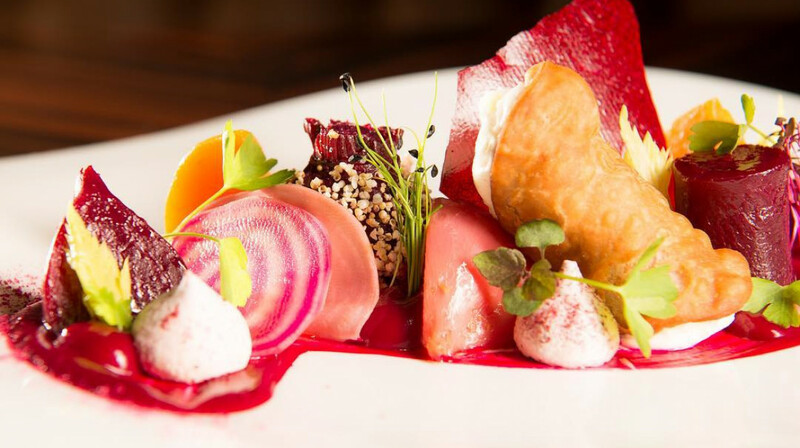 Bacchus is one of our favorite restaurants in Brisbane. The service is amazing and the staff are only too happy to provide further explanation of the food (and even how it's made ), or provide recommendations. The food is absolutely amazing - I don't think it's possible to choose a bad dish. And there's always little extras and palate cleansers compliments of the chef which make the dining experience that little bit more special. We had a great night at Bacchus. The food was really lovely. We had the 5 different crudos and the seafood gnocchi for entrees which was beautiful. Followed by the lamb and the champagne lobster. Both dishes were amazing. Presentation of the food was immaculate and the service was attentive without being intrusive. We will definitely come back for special occasions. Another lovely meal at Bacchus! Attentive and friendly service, quality ingredients, balanced flavours and creative presentation. Always a great meal and the service is the same. A great return to fine dining after 9 months of pregnancy related diet restrictions. Highly recommend the 5 course crudo entree, the lobster main and either the apple or coconut desserts from the current menu. Overall, it was an amazing dining experience! Service were excellent then comes the beautifully created and sumptuous food. From the Crudo, oysters, Foie Gras, Champagne Lobster, Tri Tip Wagyu. Then the desserts, first reaction was 'WOW!" 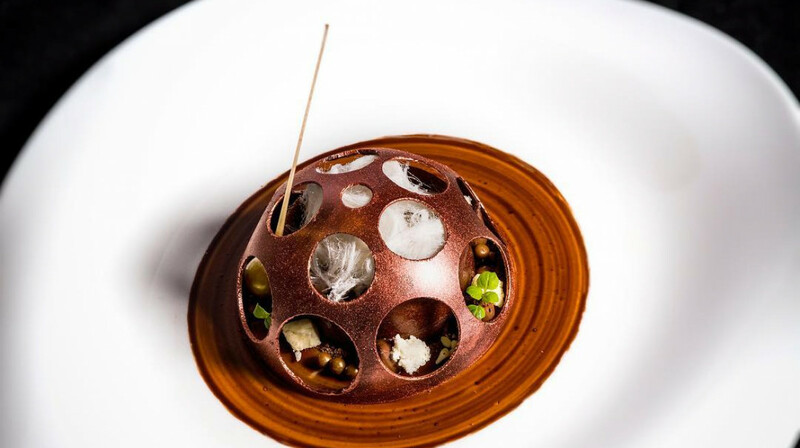 - Coconut on the Beach Cheesecake , Lemon Meringue and Apple Mousse Each bite brings you to a higher level of palate pleasure. Not enough superlatives to describe this degustation experience. Will definitely comeback for more! We decided to dine at Bacchus for our anniversary dinner. We booked through First Table and were so surprised that we could choose anything from the menu. The food was superb, the service was exceptional and the atmosphere just lovely. Oh and they have a wine and cheese list to die for! We will definitely be going back! Thank you for a great experience. We will return. We had the fresh oysters and they were so sweet. We would have ordered more if we didn't order so much food. One flaw was there was no shell in mine but my boyfriend had some shells in his. The octopus was a little disappointing as we were looking for chuncks of meat but instead we found ground up octopus. The foie gras was exceptional. Not just the smoke. The meat was perfect. We will be having that again next time. For mains I had the Lobster with caviar which was perfectly cooked. My boyfriend had the kingfish which I had last time. It was the best fish I ever had in ky life at a fine dining restaurant. The eggplant side was to die for. The goats cheese that came with it was absolutely perfect. Chips were so thick and crispy. Thank you. I had a french white wine. It was so crisp and went so well with the oysters. We had a faultless experience. All the staff provided knowledgeable yet unobtrusive service. The poached oysters were amazing, we had to get get another round. Our entres of duck ravioli and snapper were delicious and beautifully presented. The show stopper was by far the David Blackmores Wagyu. The marbling made my steak melt in my mouth and cooked to a perfect M. Just as the chef recommends. After all that food, we had just enough room for the Lemon dessert which was like a piece of delectable art. Would definitely recommend. And we'll be back for sure! Bacchus is a classy fine dining restaurant with great ambience. The whole experience was memorable. Really interesting main meals including an unusual seafood gnocchi kept us on our toes. Attention to detail is everywhere, from the funky tableware to the delicate micro herb garnishes. 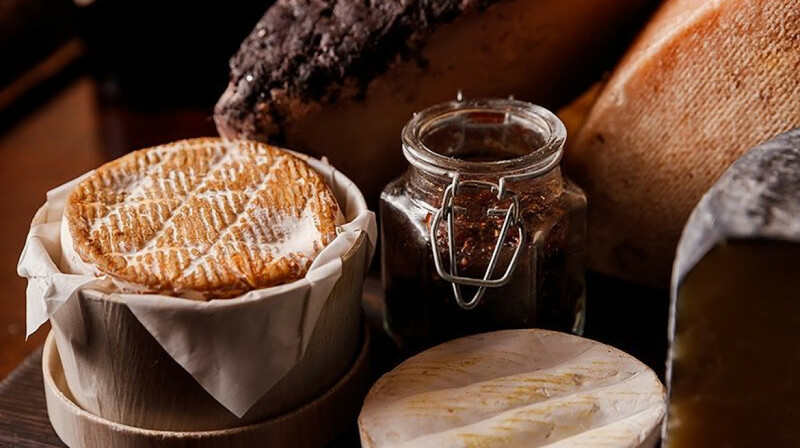 There’s an excellent choice of cheeses including our favourite Heidi Farm Gruyere and we enjoyed a decadent French Chardonnay from an international wine list. We had the most amazing experience at Bacchus! Delicious food and exceptional service. Would go back again and again! Great expereience with fantastic service. Well worth a visit. We had the most wonderful night from beginning to end. All the staff were warm and helpful, able to give excellent suggestions. They enthusiastically catered for dietary requirements (gluten free), and the amuse bouche to begin were to die for. All our mains and sides to share we agreed to be some of the best meals we had ever had, and despite being very full we were so glad we ordered desserts as they were absolutely delicious (as well as beautiful). Unexpectedly, some beautiful treats were also brought out as a happy birthday, the ginger jelly and gluten free shortbread especially were just perfect. We had an absolutely amazing experience at Bacchus! The food was spectacular and the service was very attentive and pleasant. We would definitely come back and happily pay full price for the food again! We dined in Bacchus last night for my birthday. Even after looking at the menu and photos online I was still completely stunned by the amazing presentation and delicious food that we were served. Everything was perfect and the staff did a great job. Definitely one of the best meals I have ever eaten, we will be back! hanger beef steak main and avocado side salad. Of these, we enjoyed the beef steak most. Absolutely fantastic. The service was great, friendly, very knowledable and efficient. The food was amazing. Highly recommend the snapper entree, the lamb (scrumptious) as a main and the chocolate for dessert. I also had my 1 yr old with us and they even did a special amuse bouche to suit her. Couldn't have asked for better. Thanks to the team at Bacchus. Had a wonderful time dining at Bacchus. The service was exceptional and the food, particularly the desserts were delicious!